I’m a firm believer in the importance of local genealogical societies. With its wealth of great speakers at monthly meetings, educational classes and seminars and wonderful opportunities to network with other genealogists, my research has been immensely improved by my association with LCGS. 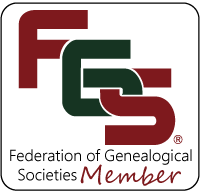 While I strongly recommend everyone join LCGS, whether they have local ancestors or not, I also think that joining LCGS is just a beginning when it comes to genealogy society memberships. Most genealogists are probably aware of local societies in the areas where their ancestors lived and may have even requested information or look ups from them. It’s likely that fewer of them will have taken the next step and actually joined those societies. After all, how many meetings will someone from Colorado ever attend in Gloucester County, New Jersey, for example? However, most local societies operate on a minimal budget, and their main source of funding comes from membership dues. Many of those dues are pretty insignificant – often twenty dollars or less per year. Joining a society can help them improve their ability to help out-of-area researchers; it can also mean discounts for members on look ups or other services. Also, most societies will include a newsletter as a benefit of membership, and they often publish research information specific to the local area. Finally, many local genealogical societies publish local research such as marriage and death indexes on their website. Some of these are free, but many do require membership to access. Once you have joined a few local genealogical societies, the next step may be to join regional or state societies. While the cost is often higher than that of local societies, so are the benefits. For example, the Utah Genealogical Association costs $35 per year. While you may never attend a meeting in person, the membership fee gets you access to virtual, online meetings, a discount on registration to the well-respected Salt Lake Institute of Genealogy and access to a number of high-level webinars at no additional cost, to name just a few benefits. Many state genealogical societies also publish databases on their websites. In addition to local and state genealogical societies, there are also regional and national societies. Regional societies typically cover a larger area such as New England. The New England Historic and Genealogical Society (NEHGS), for example, which covers all of New England is one of the oldest and most respected genealogical societies in the U.S. Membership benefits at NEHGS include subscription to the genealogical periodical The Register as well as access to their databases which include a huge selection of relevant records for New England and other parts of the country as well as Europe. The NEHGS genealogical library at their headquarters in Boston is a great destination for those with New England ancestors. As if all of these genealogical societies weren’t enough, there are even societies that cater to a specific group of researchers. In Colorado, for example, there are several ethnic societies such as W.I.S.E. 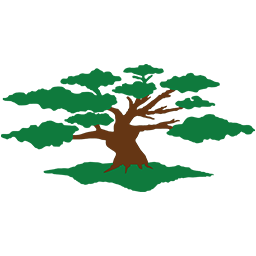 Family History Society (Wales, Ireland, Scotland, England) and the Swedish Genealogical Society of Colorado. Both of these are headquartered in the Denver area and meet at the Denver Public Library. As a long time member of the Swedish Genealogical Society, I can attest to the fact that these ethnic societies are well worth the modest membership fees. I have been able to trace my Swedish ancestors back to the 1500s in Sweden and even back to Charlemagne on a related line thanks to the educational programs and seminars that taught me how to effectively do Swedish research. A quick google search for a society in an area or a society which researches a specific place or time will garner lots of hits. With membership fees comparatively inexpensive, the only problem for an intrepid genealogist who wants to expand his or her genealogical horizons is choosing which ones to join.